Companies can reap huge cost savings by automating their leave workflow using OPENSOFT E-LEAVE. With it, leave requests and approvals will be completed online, and the process is entirely paperless and secure. PIC Grant is available for companies to implement OPENSOFT E-LEAVE. 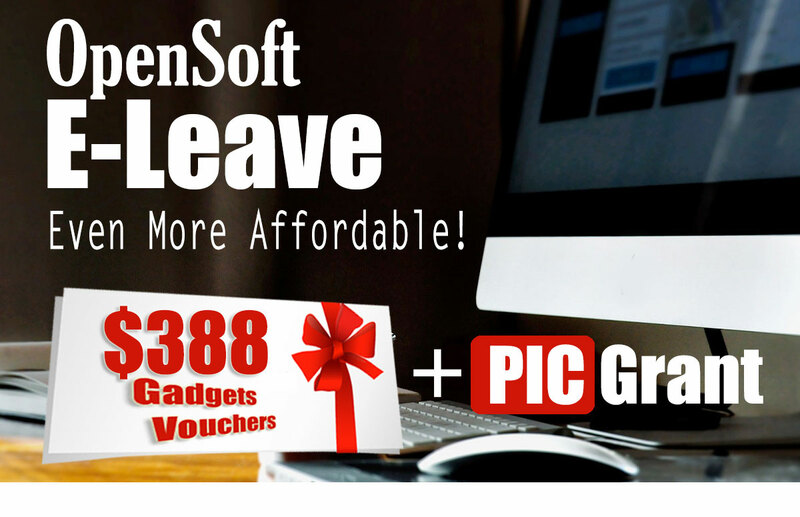 And for a limited time only, companies making first time purchase of OPENSOFT E-LEAVE will further receive a Gadget Rebate Voucher** worth S$388. This voucher may be used for the purchase of any IT gadgets (smart watches, smart phones, tablets, laptops, desktop computers). Trademark and copyright © 2016 IT Infinity Pte Ltd. If you would prefer not to receive future communications from IT Infinity, you may unsubscribe.